Protecting gadgets is not really a easy job especially when the forces are increasing day by day. User buy devices such as phones and tablets which cost a lot in the market as the move along the trend line but the never sit to consider what it take for the device to serve them and not them serving the device. In this post I will explain ways by which you can protect your phones and tablet from external and internal damages. First you will be thinking, what are External and Internal Damages? Now they are separated. The External damages that can happen outside the device (phone or tablet) You will notice that recently the mobile devices and tablet are very light in weight and when they hit a hard surface or edge some damage can happen if the necessary precautions are not applied, so that external damages But the Internal damages are things that can go wrong inside the device (Phone or Tablet) such as virus, memory loss and so on. What Are these KILLER Tips? 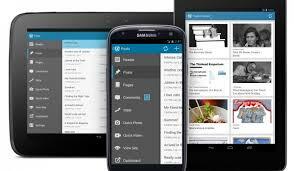 Actually some of the tips are what you know but you don’t actually take them serious but after reading this post and if you love your mobile phone or tablet you will consider applying them. Now the reason why am focusing on mobile phones and tablet is because these are what people are using daily. So what are the tips? Using a screen protector is very important especially when you are using a touch screen phones which actually almost everyone uses now, this will help avoid scratches and lines on the main screen and you know that this scratches are really not avoidable to the nails on our fingers. So whenever you like your main screen will be clean as if no one has used it. This is very important as my phone pouch has helped me a lot in keeping my phones body in good shape, we all know that phones and tablet drops from our hands, no matter how careful you are, it may not still fall from your hand maybe from the hands of a friends or relative. Now when it falls the pouch or case actually takes the hit and protects your phone or tablet from taking the hit which may have cause a external damage. But make sure you use a solid case or pouch that can actually take the hit. But you remember it all depends on the force (truth) don’t think because your phone or tablet has a pouch you can drop it from any distance. Now to avoid internal issues, you seriously need a good and solid antivirus that can fight the virus that rocks now, you can be carefully from who you connect to but you can not actually be sure when your surf the internet, you need a app to watch out for that and keep them away from your device. Download and install a antivirus. Yes, I know you use a touch screen device but that does not mean you tap on the device as if you are knocking on a door, you need to take it easily when you tap on the screen of your phone or tablet not to have a problem with the calibrator which you end up making your screen and responding when you touch or tap your screen. So to avoid this please tap your screen easily and it will respond. All this tips will really help keep your device for a long time without you having to repair it each time, follow this simple tips and you will see how it works for you, make your device serve you and not you serving it. please comment if you have a question or if you want to contribute to this. Really, you wrote a ultimate post about protection of phones. I am so impressed with tiny, but more informative post. 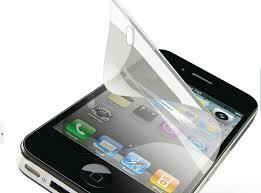 I will share it with my friends to teach them value of screen guard. Thanks for this awesome post. I visit your post regularly. But this post will help me alot. Its always important to protect our phones from being damaged as there are always important photos as well as contacts in it . We should always install a good antivirus .Thanks for sharing the info . Please suggest me, What is the best antivirus for android operating system? Thanks for helping us to protect mobail phones. We must use screen guard and case covers to protect our phones and tablets. 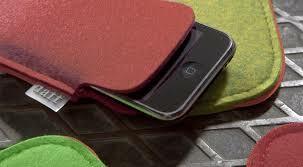 Sometimes our mobiles would flow of so we must use some rubber covers so that it can’t get any damages. I am so impressed with your post regarding phone protection. I insist to use screen guard always for tablet or Smartphones. Keep rocking and thanks for sharing such a infromative tips. 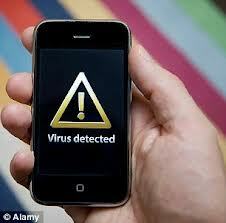 Using of antivirus is really important to protect phones from viruses from bluetooth or any other things.